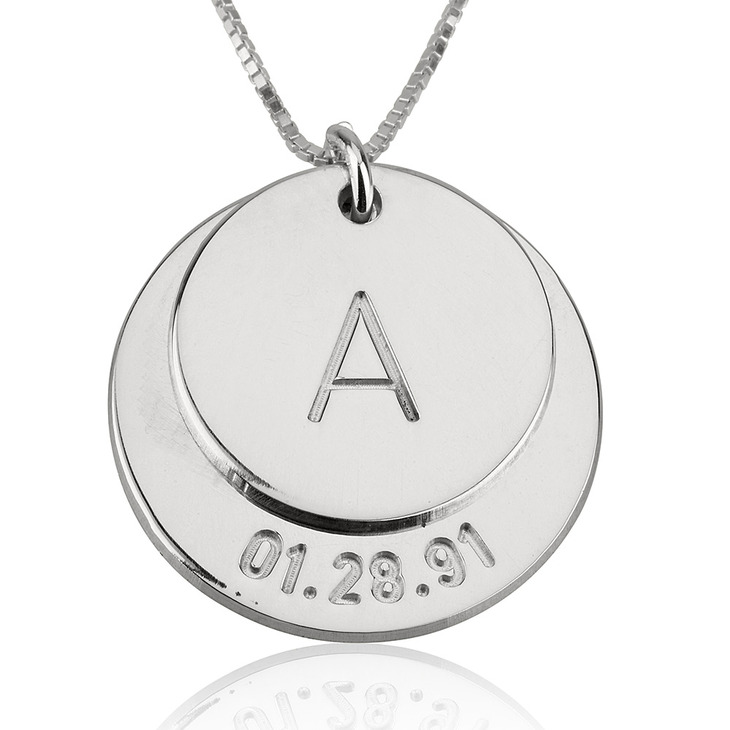 The larger disc can be engraved with a meaningful date, and the smaller disc can be customised with any initial for a tasteful and unique statement. They are beautiful and a good price they also came within a week i was shocked at how fast they got to my mailbox. 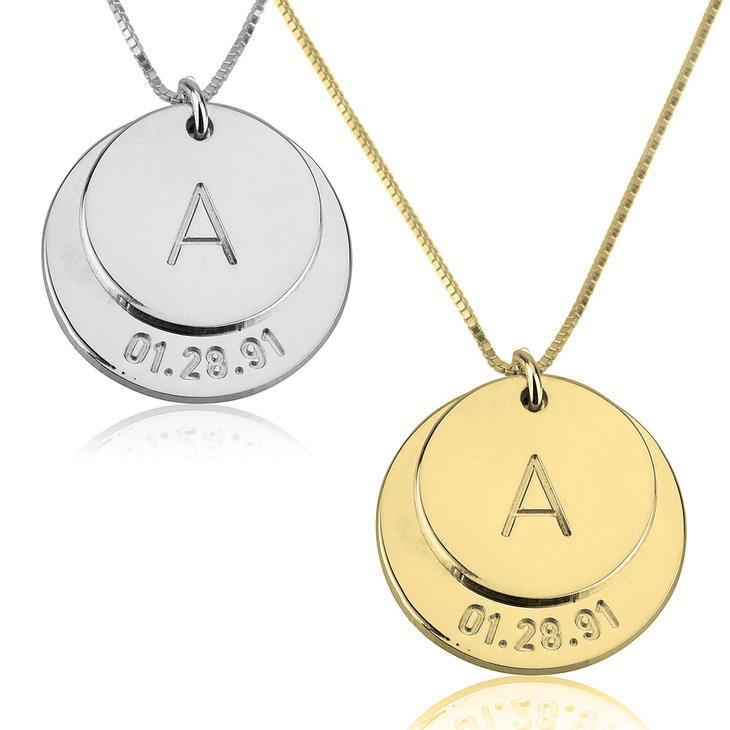 I love them and cant wait to give the half to my boyfriend on our anniversary.